WHO WAS DR MARCEL VOGEL? Marcel Vogel (1917 - 1991) was a prolific inventor whose creativity and sensitivity led to numerous discoveries and product applications. fluorescent paints and materials, and the still-popular black light posters. now ubiquitous in everyday life as digital displays on LCD monitors, watches, mobile phones. the magnetic coating formula that is still in use today on hard disk drives. His research, discoveries and ultimately his deep understanding of the natural world resulted in the legacy of the uniquely cut Vogel crystal. Marcel Vogel was born April 14, 1917, in San Francisco. As a child he suffered from respiratory difficulties. At the age of six he experienced a near-death experience and was officially pronounced dead of double lobar pneumonia. So profound was the impact of this experience that it was very difficult for the young Marcel to return to the normalcy of childhood. He claimed that he experienced a light and a sense of love and well-being that was overwhelming. Physical plane life seemed to pale in comparison leaving him, even at such a young age, to question the meaning of life. Marcel Vogel was raised and lived his life a devoted Catholic who could easily feel right at home inside a Jewish synagogue or Hindu temple. As a young alter boy, Marcel desperately needed to know his life purpose with the innocent curiosity of a six-year-old who had experienced such a profound connection to the non-physical planes with his near-death experience. As a child, Marcel would pray and ask God to reveal his purpose every Sunday morning as he prepared for worship with the congregation. After dedicated prayer as a child, he described God telling him “You will become a scientist and write a book on bioluminescence”. In 1945, Marcel Vogel created his own company, Vogel Luminescence. Located in San Franciso, CA, Vogel Luminescence developed a myriad of new products based upon its research into luminescence: fluorescent crayons, insecticide tagging, black light inspection to determine the trackways of rodents and the popular 1960’s psychedelic posters. In 1957, Vogel Luminescence, was sold to Ultra Violet Products. Marcel then joined IBM as a full-time research scientist. His natural genius and creativity were given full reign. Over 27 years of service, he became one of the most prolific new patent inventors in IBM’s Data Products Division history. 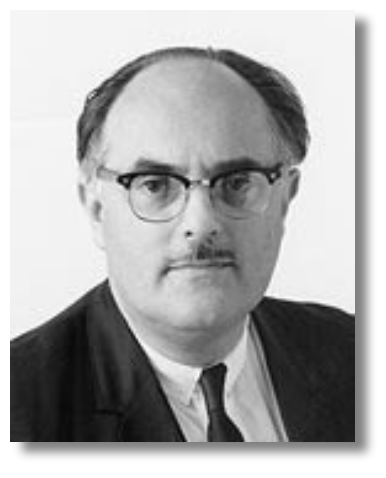 During his time at IBM, Marcel Vogel received 32 patents across multiple scientific fields including magnetic recording media, liquid crystals, the creation of rare earth phosphors, and optoelectronics. As Marcel described, in all of his years with IBM, he was never given an assignment. He had full access to the laboratories to conduct whatever experiments that he wished. He said that often times he would have a breakthrough in the lab that was met with scoffing and criticism from the other scientists. This only served to propel him further to prove himself. 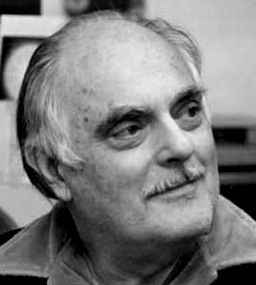 In 1969 Marcel gave a course in creativity for engineers at IBM. It was at this time that he read an article in Argosy magazine entitled “Do Plants Have Emotions?” about the work of polygraph expert Cleve Backster into the responsiveness of plants to human interaction. Despite initial rejection of the concept of human-plant communication, he decided to explore these strange claims. Vogel claimed to be able to duplicate the “Backster Effect” using plants as transducers for bio-energetic fields from the human mind. He proved in the laboratory that plants respond to human thought, then demonstrated the effect irrespective of distance and suggested that the "inverse square law does not apply to thought". Dr. Vogel’s laboratory work also led to groundbreaking discoveries related to the structure of water. His experiments inspired Dr. Emoto’s study of water, and the effect of thoughts on molecular makeup of water. Marcel also worked with what we called the “energy of love” in the laboratory. When his experimentation achieved tangible results, the other scientists involved in the projects would walk away with a request to have their names stricken from the records. In one of those “energy of love” experiments, Marcel set up two squares of grass on either end of the laboratory. Each day, he would spend an hour directing the energy of love to one of the squares of grass using prayer and thought. The other patch of grass, he completely ignored. After one month of this process, the grass receiving the love grew at a rate of thirty-five percent more than the grass that was ignored. From that experiment, Marcel Vogel made the statement “any child raised without love was deformed.” This language might be considered offensive in today’s world, but Marcel’s point was well taken with regard to growth and human potential, as it relates to receiving the love they need in order to thrive. He conducted similar experiments using plant seeds and had similar results. Marcel later traveled to Prague, Czechoslovakia with this laboratory experiment set up in the states, and conducted the experiment with the same results from eight-thousand miles away! This led to Marcel’s theories around thought-fueled energy traveling through the ether (the hypothetical medium formerly believed to fill all space and to support the propagation of electromagnetic waves), which is the basis for how remote healing occurs. Marcel was giving a talk in Northern California when he was approached by a woman following his presentation. She handed him a quartz crystal. When he questioned her why she wanted him to have the crystal she told him he needed to work with it. He returned to his lab and the next day a lab assistant complained of a back ache. Marcel grabbed the crystal and drew a deep breath. When he released his breath while holding the crystal aimed at the coworker, the coworker recoiled and fell to the floor in an altered state of consciousness. The woman called back after a few weeks to inquire about the progress with the crystal once again, only to hear Marcel describe how the crystal had vanished. She told him she would send another but shared that crystal would not allow itself to be used without reverence or respect. Marcel began working with crystals at that point, until the day he experienced a vision upon waking from his sleep. In his vision that lasted for over thirty minutes, Marcel saw the Talmudic Tree of Life in geometric form, which he felt was a little strange since he wasn’t Jewish. But he still managed to grab a note pad and draw diagrams from the vision. 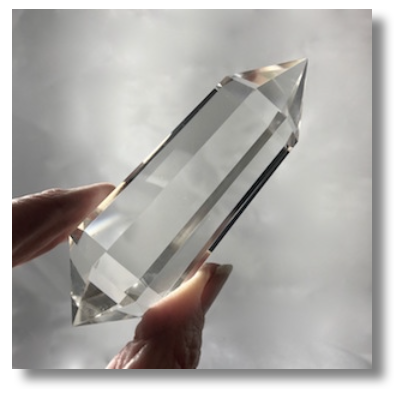 This led to Marcel spending the next year in the laboratory making his first crystal cut, based on the geometric shape he held with his vision. As a devout Christian, Marcel might have held some belief in miracles but he was also trying to teach us that we should not view our healing as anything but natural. Marcel called each human an atomic generator because of the power and measurable energy generated by the mind. The human brain has been proven to emit the equivalent of twenty watts of power. This is an aspect of our life-force energy. Our thought produces power that can be transmitted anytime, anyplace, and in any direction. - Unconditional love is allowing the people around you to fully express themselves. - Love is the glue that bonds all matter in the Universe. - Love is primary unit of life, hate is primary negative unit of life. - Humans create energy by converting thought into matter, what limits us is our willingness to try. 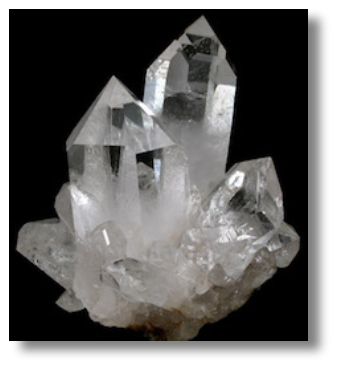 - Crystals ground human energy and bring the mind to an alpha state. When the left and right brain merge, we are home. - The principle of life is the soul, without it, there is only matter that decays. The soul attaches consciousness to matter, imprinting consciousness to matter. - Crystals are working with an energy in an unlimited dimension in a magnetic domain. - Crystals are a radio transmitter, a memory element, a transceiver, and a computer that delivers radiation that agitates water in the body, using a natural element. - Spirituality teaches us to build the spirit of life. We build our spirit of life by loving our fellow human; thinking, acting, and reflecting for the good of humankind. By doing so, we are building ourselves an information body in a form that persists independently of time and space. Each person must go to the negative pain and work to clear it up. If you hold it, you project that energy into the world and onto others. We must handle our negative emotions to see the good in man. - Denial of negative emotions leads to withdrawal from reality. It is your responsibility to go to negative pain and clear it up. If you hold negative emotions you project that energy. - Ether is the substance once thought to suffuse the universe and be the medium that propagated light. Before that, it was the material that suffused the realm of the Gods. In the ether means that it is something being communicated from place to place; it has no precise location, just as a radio broadcast can be heard from many different places. Ether is not air, it is neutral energy that surrounds you. - To be a healer, the science of breath is essential. Ancient wisdom and yoga can help move a person through the various levels of consciousness. - Movement through levels of consciousness can help establish a carrier wave for each module recorded in physical space within ourselves. - Crystals are working with an energy in the unlimited dimension of a magnetic domain. Crystals are a radio transmitter, a memory element, a transceiver, and a computer that delivers small doses of natural radiation to the body. Crystals agitate the water in the body, using a natural element. - Each organ has a consciousness, so it helps the blood to be demagnetized. Marcel also stated “The principle of life is the soul, without it, there is only matter that decays. The soul attaches consciousness to matter, imprinting consciousness energy to physical matter. Love is the primary unit of life, hate is the primary negative unit of life”.